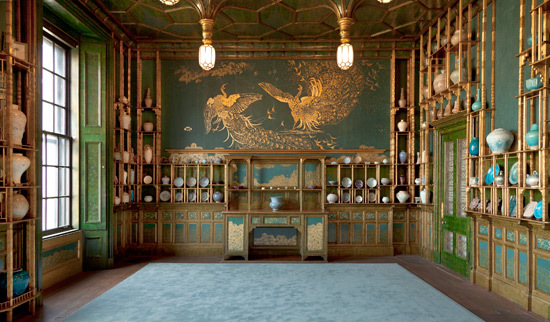 Freer was initially unimpressed by the Peacock Room, and he remained ambivalent about it as a work of art for many years. He did not care for blue-and-white porcelain. He thought its surfaces were "hard and obvious," as he dismissively put it. 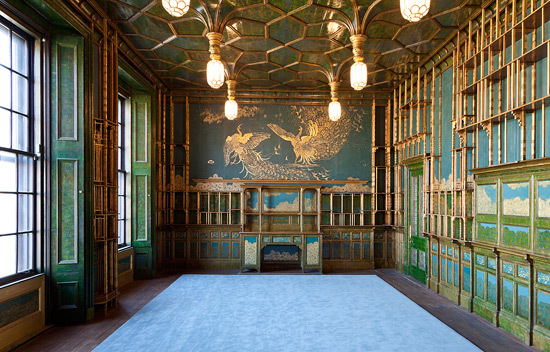 Perhaps Freer also saw the "Chinamania" craze and the Peacock Room itself as embarrassing relics of the Victorian era. 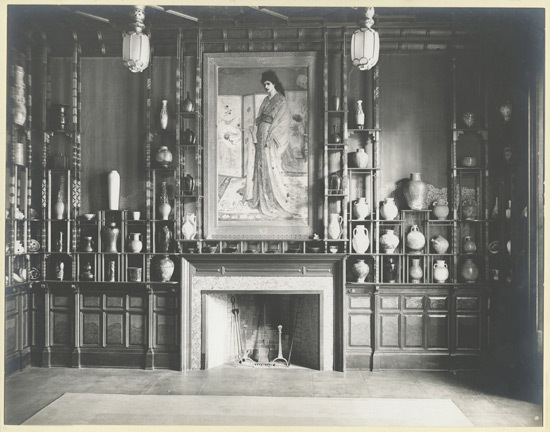 His taste in Asian ceramics was altogether different from that of Whistler and Leyland—and from that of many other American collectors, such as the wealthy banker J. P. Morgan. 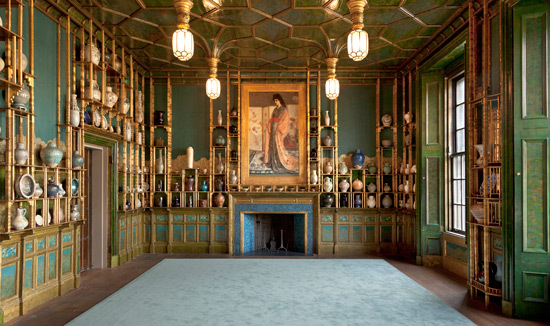 When Freer saw the Peacock Room for the first time in 1902, its shelves were bare. Leyland's collections had been dispersed at auction, and the house had been sold to Blanche Watney. She was not fond of the room, and when she learned it could be taken apart and reassembled, she decided to sell it. Word of the impending sale of the Peacock Room generated much speculation over who the new owner might be. 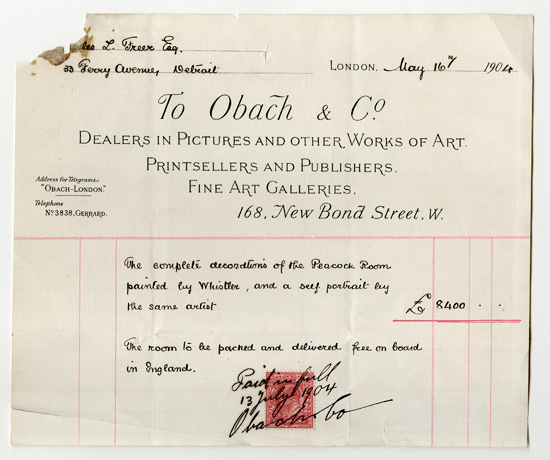 One New York newspaper mistakenly reported that art collector and financier J. P. Morgan had acquired it. 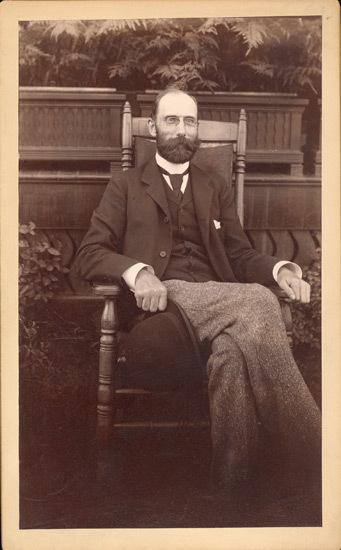 The actual buyer, of course, was Charles Lang Freer, who had acquired his fortune by manufacturing railroad cars. He was already known as America's foremost collector of works by Whistler—and for his holdings of Asian art as well. 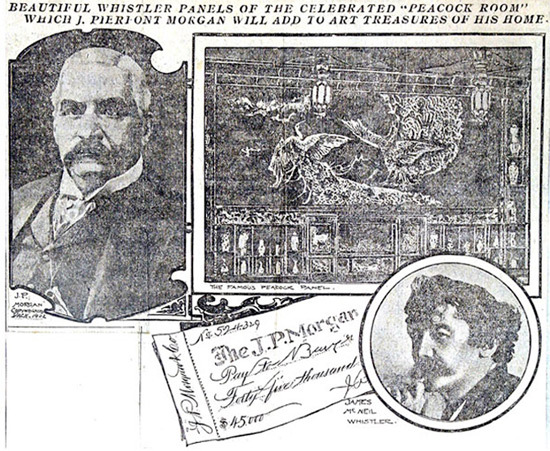 Freer confessed that he purchased the Peacock Room out of a sense of "pleasant duty" to Whistler. The room was dismantled and shipped across the Atlantic Ocean in twenty-seven crates. 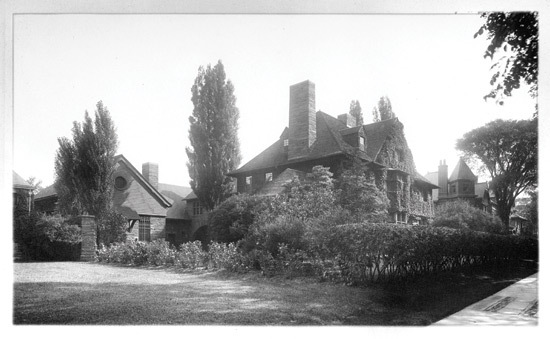 It was reassembled in an annex that had been specially built onto Freer's home in Detroit. Over time he filled the room's shelves with his own ceramics collection. 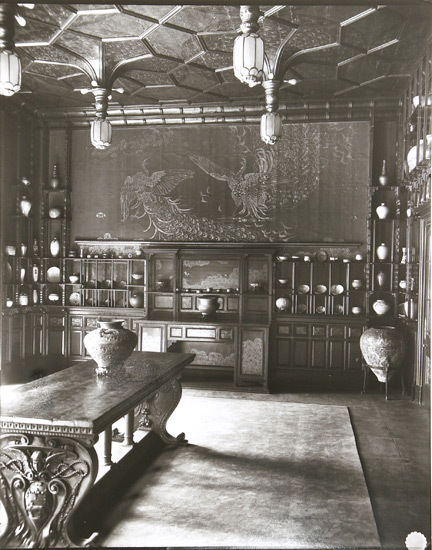 He transformed the Peacock Room into a staging area where he could develop his concept of universal formal correspondences—what he called "points of contact"—between Asian and American art. 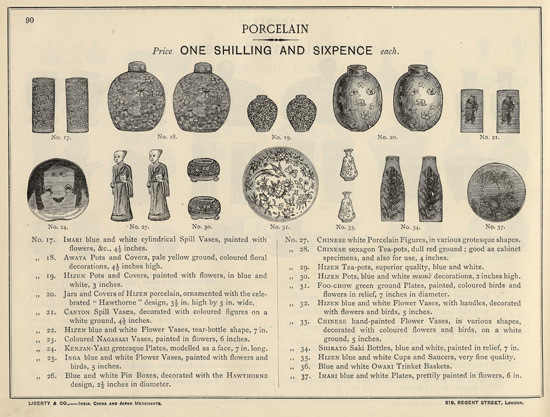 Freer acquired his Asian ceramics from countries as diverse as Syria, Iran, Japan, China, and Korea. Ranging in date from ancient times to the early twentieth century, the wares feature subtle, often iridescent glazes in shades of turquoise, jade green, and golden brown that harmonize with Freer's collection of American tonalist paintings by Whistler, Thomas Dewing, and Dwight Tryon. It seems clear that Freer was not simply using the room as open storage for his vast collection. He chose 254 pots to display in the Peacock Room, but he had another 700 or so that he kept elsewhere. Freer treated the Peacock Room as an aesthetic laboratory, where he could experiment with various chromatic arrangements. Judging by his choices, he seemed to treat the pots as strokes of color on a vast, three-dimensional canvas. The west wall, for example, displays iridescent Raqqa ware, named for the site in northern Syria where the ceramics originated. 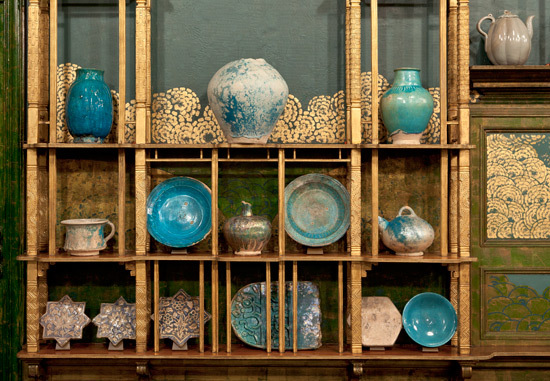 Viewed together, the shelves form a ceramic still life in various shades of turquoise. Although Freer was interested in the historical origins of his ceramics, he was more attracted to their purely formal qualities of shape and color. He freely mixed Korean celadons, acquired from the American missionary Horace Allen, with medieval Islamic Raqqa ware and green, slightly iridescent funeral jars dating to China's Han dynasty (206 BCE–220 CE). Their similarly mottled surfaces and shimmering tonalities were more significant than their geographical origins and historical uses. 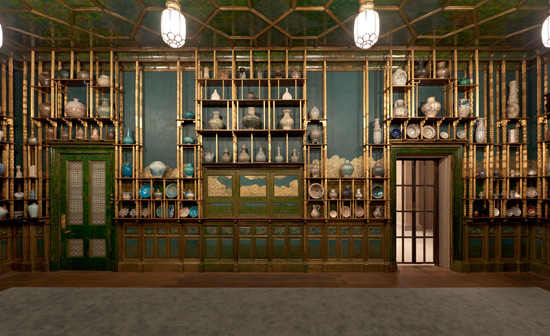 Freer was so pleased with the way his ceramics looked in the Peacock Room that he hired George Swain, a local photographer, to take a series of pictures of the room. These images, now in the archives of the Freer Gallery of Art and Arthur M. Sackler Gallery, formed the basis for the "Detroit" virtual tour and for the exhibition The Peacock Room Comes to America (on view through 2013).